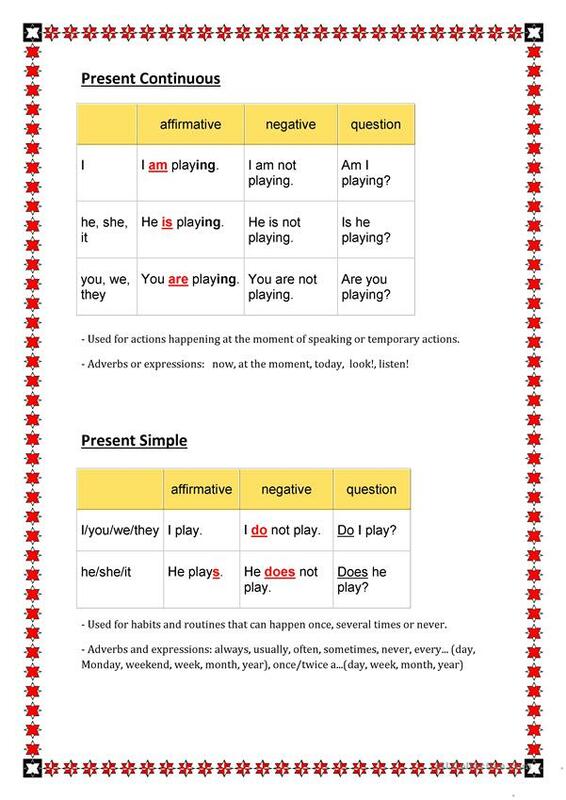 This is a simple explanation of these two tenses plus a full worksheet to practice them. It is thought for elementary students that have difficulty with using them. This downloadable teaching material is a great resource for elementary school students at Elementary (A1) level. 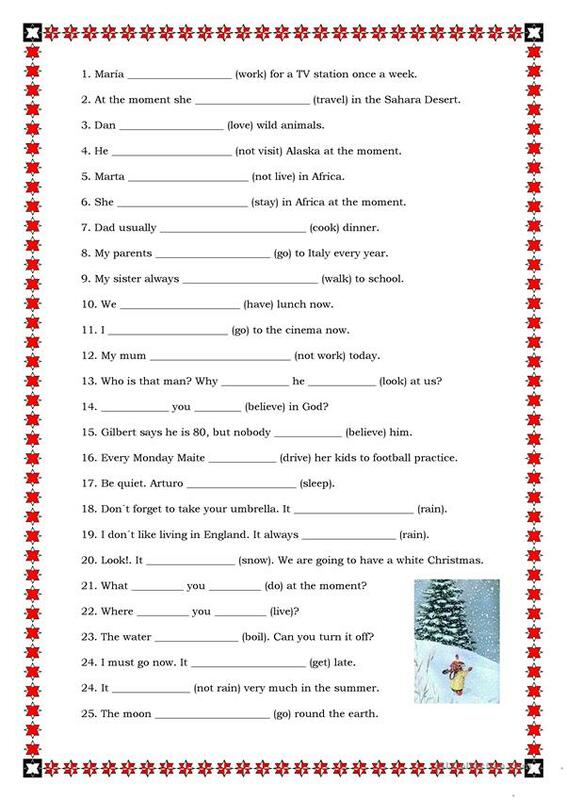 It is great for teaching Present simple vs continuous (progressive) tense in English. crisver is from/lives in Spain and has been a member of iSLCollective since 2012-12-24 18:09:12. crisver last logged in on 2018-12-04 16:16:41, and has shared 3 resources on iSLCollective so far.